Apart from “when are you going to do some more TV shows?”, this is my most-asked question. 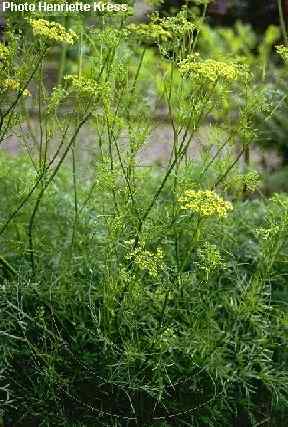 Asafetida is the aromatic resin from the root of the giant fennel, Ferula asafoetida. It is also known as hing, and is extracted from the stems of the giant perennial plants that grow wild in Central Asia, especially Northern Iran and Afghanistan. Thus it is known as an oleo-resin exudate. In the spring, when the plant is about to bloom, the stems and roots are cut. Milky resin exudes from the cut surface and is scraped off. The gummy resin is sun-dried into a solid mass that is then sold in solid, wax-like pieces. Most raw asafetida is sent to India for further processing and sale, mostly in the convenient powdered form. Asafetida has been held in great esteem among indigenous medicines from the earliest times in India. It is highly reputed as a drug to expel wind from the stomach, and to counteract spasmodic disorders. Asafetida is also a digestive agent and is used, among other things, for alleviating toothache and as an antidote for opium. In the days of Moghul aristocracy in India, the court singers of Agra and Delhi would wake before dawn and eat a spoonful of asafetida with butter to enhance their singing voice before practicing on the banks of the Yamuna river. Asafetida is also excellent for settling flatulence and is prescribed by Indian herbalists for respiratory problems like whooping cough and asthma. Due to the presence of sulphur compounds, raw asafetida has a distinctive pungent aroma. To cook with asafetida, small quantities of the powdered form are sauteed in a little slightly-hot oil or ghee, before adding to a variety of savoury dishes, adding a delicious flavour reminiscent of a mixture of shallots and garlic. 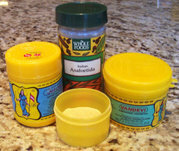 I always uses the mild yellow asafetida powder and not the grey variety. All my recipes calling for asafetida were tested using this yellow variety. If using other types, reduce the quantity to between a quarter and a half of the suggested amount. Asafetida is available at Indian grocers and specialty stores.